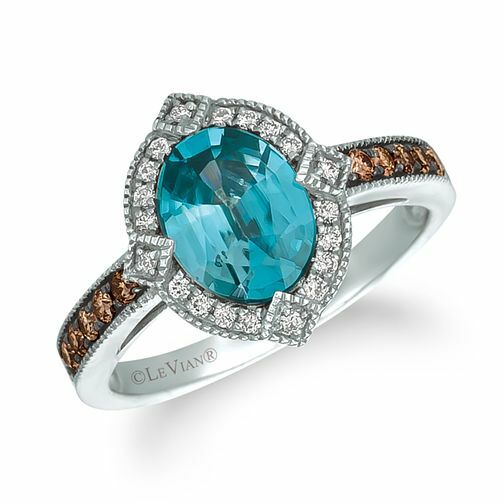 A precious Le Vian ring, poised from 14ct Vanilla Gold with a band adorned with delectable chocolate diamonds. A beautiful blueberry Zircon steals the spotlight, with a round halo glistening with vanilla diamonds. Complete with four diamond cut NESW positioned diamonds, adding an extra effortless elegant touch.